The X-Men books are a mess and they have been for years. Maybe this is because Marvel is purposefully torpedoing the comics because they don’t own the movie rights, or maybe it’s because the comic has just been a snowball rolling down hill, getting bigger and more unyielding every relaunch. 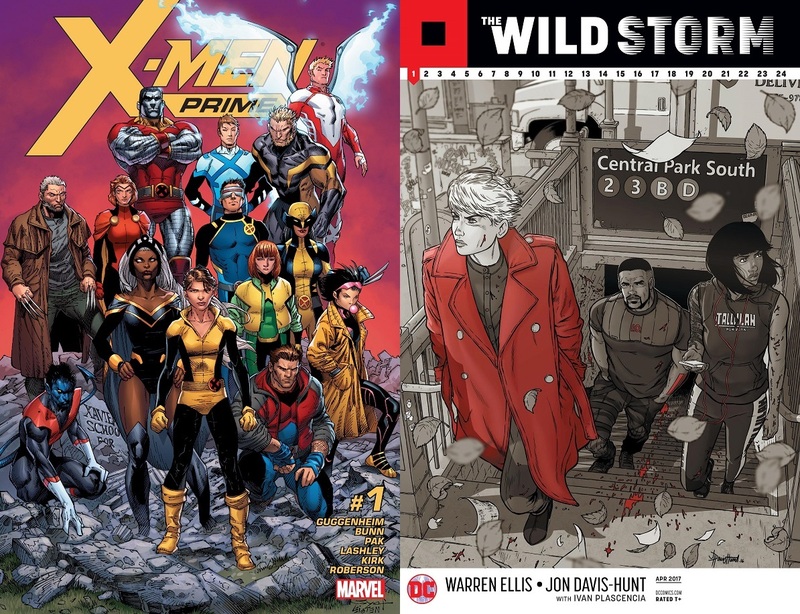 Whatever the case may be, I propose that the X-Men should copy a play from The Wild Storm comic and do some kind of big, slate-clearing reboot — to an extent. This month, Marvel will launch ResurrXion, the latest in a long line of complete, line-wide relaunches for the X-Men. As I’ve pointed out before, Marvel does this every two years or so. It involves simply recombobulating the various characters into new teams, all with the same general purpose. Maybe there’s a new major plot point — like Evil Cyclops or mass extinction — or maybe not. Either way, ResurrXion looks like more of the same, and that’s no way to save the X-Men. Between X-Men: Gold, X-Men: Blue, Astonishing X-Men, Weapon X, Generation X and whatever the heck else Marvel might spring on us, the new relaunch looks and sounds like just more of the same. Random X-characters plopped into random lineups to accomplish the same thing as every other X-book for the past few years. So I think Marvel should do what DC is doing with their Wildstorm comics, to an extent. They’ve hired comics visionary Warren Ellis to restart the Wildstorm Universe from the ground up in a new comic, The Wild Storm, with a couple different spin-off comics. It’s got all the familiar characters, but the slate has been wiped clean and Ellis is starting over from scratch. I don’t think Marvel should go that far with the X-Men. This shouldn’t be a complete, ground-up reboot. Instead, pare the line down to a more reasonable size, with a very, very back-to-basics approach. Don’t just throw random characters into random rosters just to fill page space. Create a solid, core team and trim off all the most recent plot nonsense. Wipe away M-Pox and even M-Day. Wipe away any contention with the Inhumans or the Avengers. Send the Young X-Men back to their own time period. No more weird time travelers or space visitors or secondary mutations or rebel factions. Just a school for mutants, with some familiar faces on the faculty and in the student body, where a couple of them occasionally go out and save the world. In our current climate of political insanity, with everything from Black Lives Matter to the alt-right to whatever the hell else, now is the perfect time for a comic book about a group of minority superheroes who protect a world that hates and fears them. Posted on April 3, 2017, in Comics, Marvel, X-Men and tagged ResurrXion, The Wild Storm. Bookmark the permalink. 4 Comments. I couldn’t not read and comment on this post, since there’s nothing I like more than X-Men and Wildstorm. And I kind of agree with you a little bit…but not really. Firstly, one big reason I’m so excited about The Wild Storm is that these characters have been absent from comics for a few years. And the last several years they were around was as part of the DC universe, which I couldn’t appreciate because I’ve never been a DC fan and I wanted them to have their own universe. Ellis is mostly ignoring the DC universe and has given the Wildstorm universe a hard reboot. It’s exactly what I wanted. As you said, we don’t want that for X-Men. There’s way too much mythology that we wouldn’t want to lose, and, even more importantly, way too much soap-opera relationship mess to continue to joyfully sort through (how many more years do I need to wait to see Alex and Lorna have ONE TALK??). I’d actually stop reading X-Men if that happened. It would essentially be over. But I don’t want a soft reboot, either. We’ve seen that before, and what good did it do? It makes side characters like Guido get tossed even more to the side. Lord knows when we’d ever see him if they reduced and refined the series the way you suggest. If we keep it the big sprawling mess that it is, I think we have more chance of seeing our beloved characters now and then and get that “YES! !” moment that we love. That said, as much as I’ve heard people complaining lately (and have complained myself, especially during that storyline in Uncanny where there was an Angel and an Archangel, and don’t get me started on Civil War II: X-Men), I don’t have a great idea for how to fix things. I’m hopeful for ResurrXion, but I’m as wary as anyone too. I did hear someone say that they just need to get a team of editors working with the writers like they used to do, giving them greater focus and direction. That may be the best idea, and it might just work. They could probably take some pointers from the MCU for this, also. Give us a story that builds and unfolds into a great ending that makes us say wow, without a bunch of side nonsense (like the Apocalypse distraction during the Sapna/World-Eater storyline that seemed pointless) and distractions from crossover events. We’ve waited too long for good storytelling, and we deserve it. And getting someone like Ellis to write it would certainly help things! At least encourage the writers to emulate him for a while and see what happens. Do some creativity exercises together or something. I was also thinking that, if Marvel does want to keep the big, sprawling mess of X-Men books, they should get a solid writer to pull a Jonathan Hickman and work on a big, sprawling narrative. Tell an X-Men story with some meat and some narrative thrust, with reasons to use its many characters for the greater good. I love a good Strong Guy cameo as much as the next guy, but I’d willingly sacrifice that for a focused, meaningful X-Men franchise. Plus, once the X-Men is focused and meaningful again, then the Strong Guy cameo will be even better because his inclusion will mean something. I recently wrote a post about one of the reason I think Marvel has gone down hill to me, and the beginning is the Grant Morrison reboot of 2001. I agree you can’t do a Wildstorm hard reboot, but say you rewind the clock to just after the original class are fully back from Krakoa. 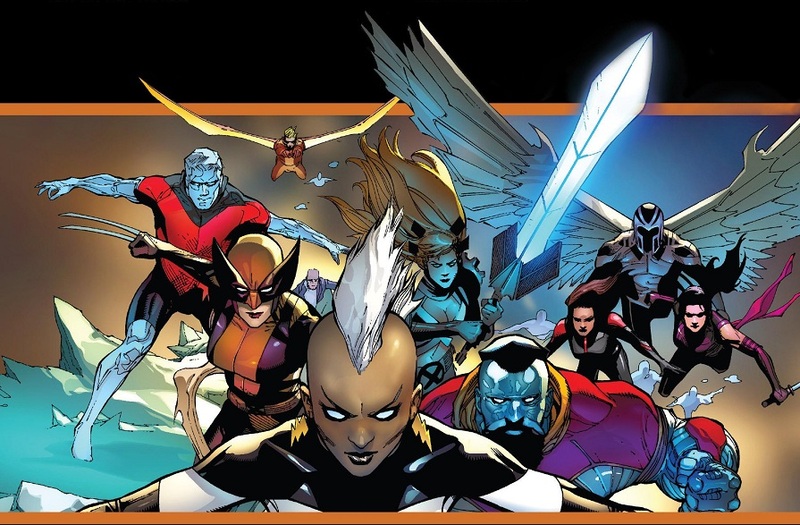 So the basic superhero lineup is: Angel, Banshee, Beast, Colossus, Cyclops, Havok, Iceman, Marvel Girl, Nightcrawler, Storm, Sunfire, & Wolverine. You split them between being heroes and teachers. The hero team gets one book, and they go out and have the adventures. The teacher team gets another and that is where you get the school aspect of the X-verse. Let those two books stand for about a year, with minimal new character introduction. Then after that year slowly introduce other new books, but always only around characters that have already been introduced into the X-verse. Basically if I were doing this I would revisit the original reboot and then rebuild from there. That’s absolutely along the lines of what I’d suggest! One book for superhero stuff, one book for school stuff and just let everything kind of simmer and build. Nothing too crazy. I think that can still be done with the modern cast, though, and the modern ideas at play.